A week ago, I took part in AtomicReach’s Tweetchat. AtomicReach has been hosting tweet chats regarding content and blogging for a while, and this time they invited me to be a guest on their chat and talk a little bit about my blog post, ‘How To Make Your Content Marketing Stand Out In The Crowd’. 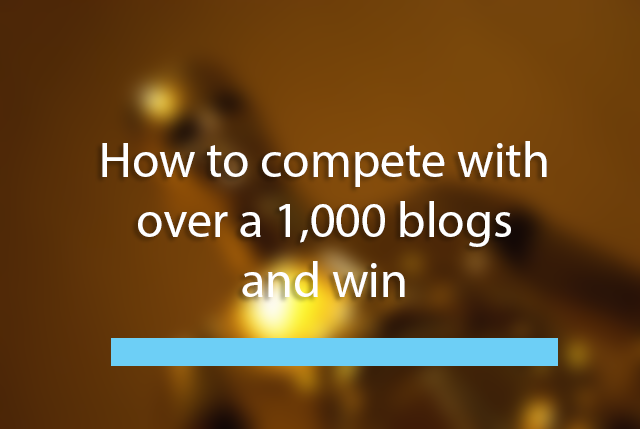 One of the questions I was asked during the chat was – ‘How do you compete with over 1000 blogs and win”, which I thought was a fantastic question. I quickly answered it saying: “It’s not about competing; it’s about finding your voice and unique selling point”. I still stand behind that answer, but following the chat I felt I wasn’t clear enough with it. Meaning, how do you make sure your content and offering are indeed unique? What does ‘being unique’ really mean and how does is get you there? By definition, being unique means you have to be different than everybody else. The key to differentiate yourself is to really understand what everybody else is doing and find your own opportunity to do something a little different. 1. Analyze what everybody else is doing. Although the process sounds easy, in reality, what you have to know is actually how to conduct a competitor analysis the right way. The essence of conducting a competitor analysis is simply seeing what your competitors are doing and learning what works for them and what doesn’t. The main things you will need to look for are – the subject of the content, social media activity and link building. As I mentioned, the process isn’t complicated at all, but it does require a methodology. Without a doubt, one of the most comprehensive step by step go to guides to launching a successful blog, the growth hacker’s way. It contains a lot of practical advice, recommending tools and scripts how to conduct the competitor analysis and what you can learn from it. Click here to read the guide. Here is a very detailed guide that will help you get better understanding on what is link building and how to analyze your competitor’s link building. Social media is a big part of a company’s marketing effort and can sometime hold the key to a product’s fast growth. Swellpath’s guide to conduct social media competitive analysis will teach you what to focus on when conducting your social analysis and what you should learn from it. Neil Patel, the master, teaches you how to use Quicksprout’s free SEO tool to analyze your competitors’ data and how to use it for your own benefit. Social Media Examiner takes the competitor analysis and content audit to the next step, teaching you how to build your content strategy using social media audit. This is a very detailed “hands on” guide that will give you some great insights, as well as having great points on creating your startup’s content strategy. After you’ve learnt what others are doing and what works for them, it’s up to you to utilize the tools, but give the product a twist with your unique voice. Whenever you find something that works for your competition, simply try to understand how you would’ve done something similar but always ask yourself what would you have done different – from the tone of your voice or the number of items on the “how to” list. Figure out your angle and build your content strategy. 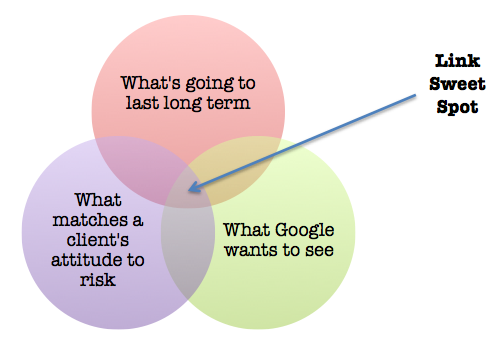 What are the best tools you are using to audit your competitors marketing efforts? Share it with us in the comments.